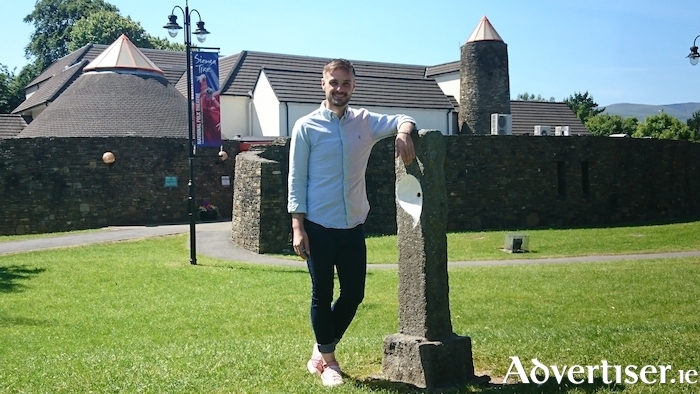 Castlebar's Conor O'Grady has been selected for an artist summer residency at Siamsa Tire. This is the second such residency and it provides a great opportunity for visual artists as they get the space and time to develop projects they are working on. During the residency, O'Grady will engage with members of the National Folk Theatre (NFT ) of Ireland and a number of public engagements will be scheduled later in the summer. A native of Castlebar, O'Grady studied arts in Dublin and now lives in Donegal. He works across a range of media, most often installation based, and his interest in the residency is to get a broader understanding of the role and influence of folk culture in contemporary Ireland. O'Grady will use modern visual art practices alongside research into traditional methods as a means of documenting the ways in which traditional and contemporary visual culture are used in innovative ways. He also plans to collaborate with local artists using traditional craft and design methods or who have adapted traditional Irish crafts for contemporary consumption. Speaking about the residency O'Grady stated: "I was delighted to accept the residency at Siamsa and very keen to get to work immediately with the National Folk Theatre team. The residency and its location will benefit my practice as it will allow me the time and space to experiment with existing work and create new pieces. Catriona Fallon, CEO Siamsa Tíre, added: "The purpose of this residency is to support a professional artist and their practice. Siamsa Tíre is acutely conscious that visual artists need space and time to create and develop new work and we hope that this residency opportunity will allow them to do just that. "We were very lucky with the inaugural residency with Karen Hendy in 2017, and are delighted that we continue to develop a relationship with Karen and her work. We feel very confident that the relationship we are building with Conor will be just as fruitful, we can tell already that it’s going to be interesting." O'Grady studied fine art at the National College of Art and Design from 2006 to 2009, and at the Dublin Institute of Technology from 2010 to 2013. His work has been exhibited in solo and group exhibitions, including Border Lines at the Custom House Gallery and Studios in Westport, Green Carnations at the Linenhall Arts Centre in Castlebar, and Phoenix Park Palare at the Edenmore Community Centre, Dublin. O'Grady has also completed a number of public art commissions, including one in Derry (Something Happens ) and at the Museum of Country Life in Mayo (On Sight ). Other residencies include Krems Kunsthalle in Austria in 2017 and the Home Residency in DAS Digital Art Studios in Belfast, also in 2017.